1 – Heat a dash of oil in a non stick frying pan, gently fry onion until tender but not brown. 2 – In a bowl, combine Baked Beans, cooked onion, parsley, mashed potatoes, self raising flour and egg yolks. Mix well and season with salt and pepper. 3 – In a clean bowl, beat the egg whites until stiff. Fold egg whites carefully into the bean mixture with a large metal spoon. 4 – Heat a little oil in the frying pan and cook large spoonfuls over a low to moderate heat for about 3 minutes each side. Keep warm in the oven until the remaining mixture is cooked. 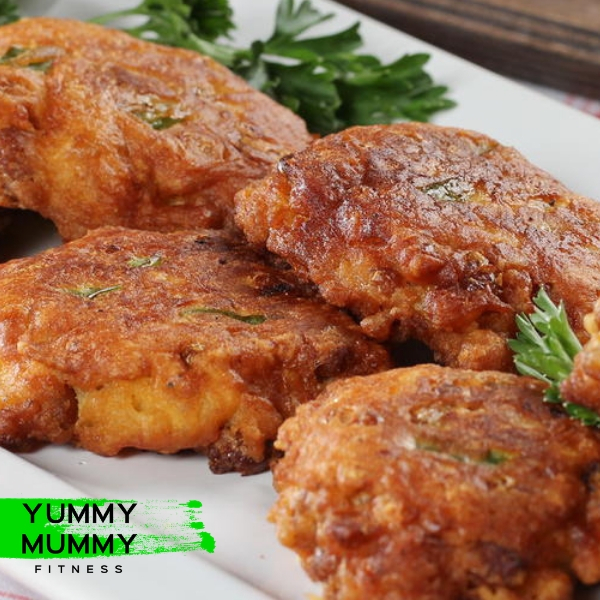 5 – Serve fritters with slices of fresh tomato and rocket.